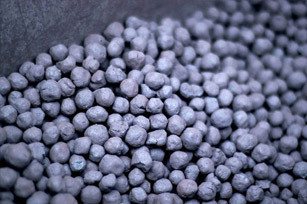 GSW provides iron ore & coal mining and sterile removal services. We have a highly trained team having a wealth of experience in these activities. We also have the necessary heavy duty earth moving equipment to carry out these activities. GSW has very successfully undertaken mining contracts for the ArcelorMittal Group one of them being a prestigious contract for Sterile (Overburden) removal of over 30 million tons from their Iron Ore Mines at Oenza, Algeria.